8. Waltz of the Flowers from P.I. 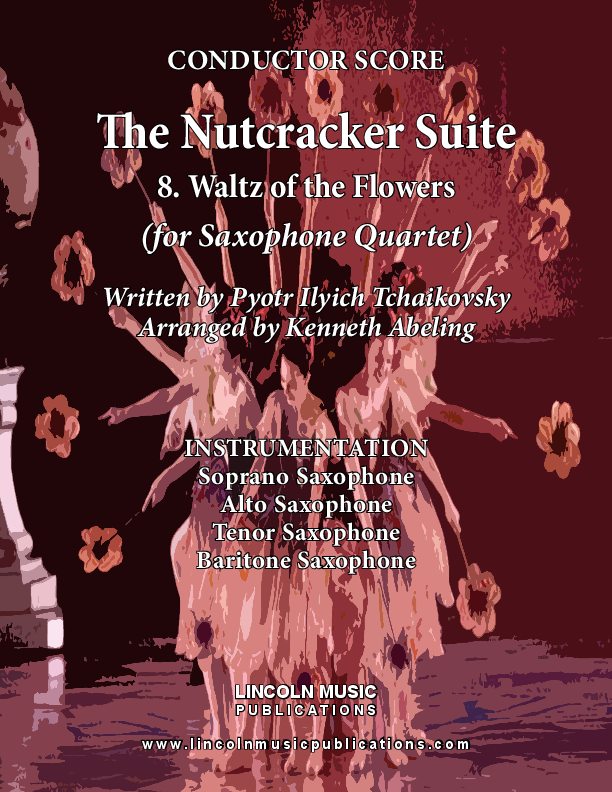 Tchaikovsky’s fantasy ballet “The Nutcracker” transcribed here for Saxophone Quartet. This is an advanced intermediate to advanced arrangement and faithful to the composer’s original score as are all of the other movements offered.